Critical Mass is a much-loved European marijuana combining two favorite strains, Afghani and Skunk #1. Easy to cultivate, producing good harvests of creamy-skunk flavored buds, these feminized seeds are perfect for all levels of experience. Good yields are easy to achieve, with even inexperienced growers producing harvests of heavy buds. Mature heights are average, with a medium amount of stretch during the first few weeks of flowering making them a perfect choice for both Sea-of-Green and Screen-of-Green growing techniques. Indoor growers will enjoy the super-fast harvests this strain offers, with peak ripeness and maturity requiring just seven weeks in flower, courtesy of it’s 80% dominant Indica genetics. Outdoor growers can also benefit, with the plants ready to harvest towards the end of September. 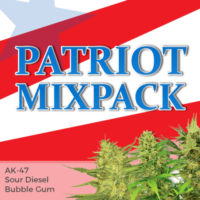 With it’s Skunk influences, the buds are both pungent and aromatic with incredible density. Large and swollen, the buds have been known to break their branches due to the weight. Grown indoors the plant’s yield approximately 400 grams per square meter, while outdoors growers can enjoy harvests of up to 500 grams. THC levels approach 22% with a high CBD content. Whatever your level of experience, our recommended feminized Critical Mass seeds produce female-only marijuana plants that are easy to grow, producing heavy yields of good quality buds. 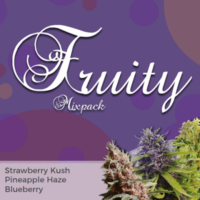 Enjoy a mild and relaxing smoke that’s pleasurable on both the mind and palette. 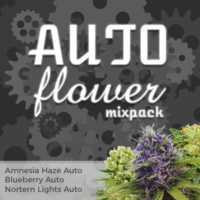 High quality, stable feminized strain, producing large buds with a smooth, creamy flavor. Critical Mass is well known for its relaxing effects and perfect to chill out to, focusing more on the body than the brain it will make you feel euphoric and happy. 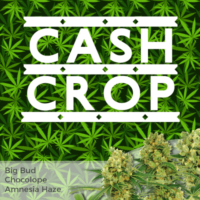 An Indica dominant strain, comprised of 80% Indica and 20% Sativa genetics, it’s well known for it’s super large, heavy buds and ease of growth. With a high THC level and CBD content, Critical Mass is a favored medical marijuana strain, quickly gaining popularity with both growers and patients alike.